This is hands down the most down to earth, accessible, and thorough guide I've ever come across. Steven King doesn't rehash that same dry 'story formula' most other 'on writing' books blather on about. 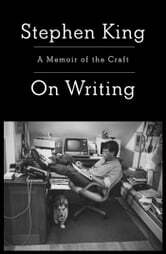 Instead, Steven presents an in depth and intimate account of the writer's lifestyle and provides insight into his personal techniques. 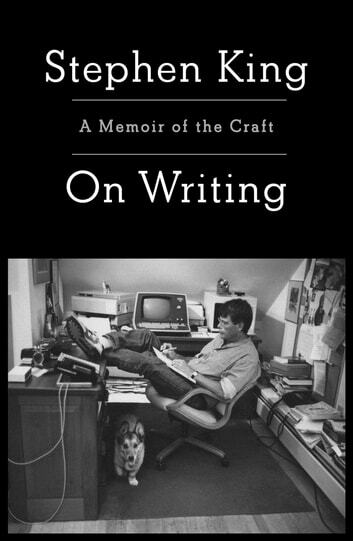 This book will make you rethink everything you've formally learned about writers craft. And as a bonus? You'll be killing yourself laughing all the way through. I can't say I've ever quoted a writing guide to my friends until now. I'll be keeping this book close. This is a writers go-to book. From beginningto end, this is a great how to and how-not-to mnul. Funny, real and chocked full of common sense and gritty no nonsense advice, this is a book that educates (think School of Hard Knocks) and inspires. Fabulous every time I read it. This is the least presumptuous book on writing, written by one of the greatest of our time. After reading, I can't wait to apply "The 10% Rule" to my writing! You don't have to be a writer to enjoy this book. That being said, the tools King provides are useful. So far, this is my favorite book on writing. Hands down, the best book on writing I have ever read. Useful, funny and sincere. I've read it half a dozen times and I'll read it half a dozen more.